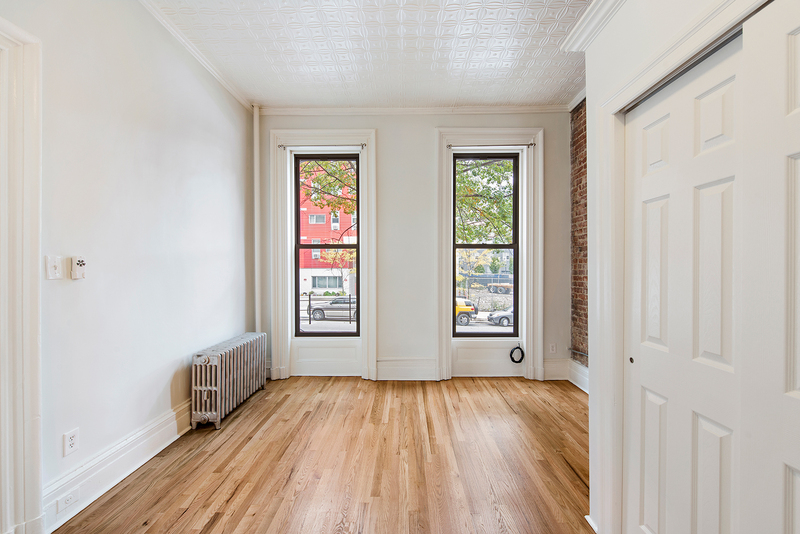 Be the first to live in this newly crafted, handsome parlor floor townhouse apartment located in Clinton Hill. Completely renovated, this apartment is filled with natural light and retains much of its historic charm while providing modern conveniences including an open kitchen, granite countertops and stainless steel appliances including a dishwasher. The apartment features original moldings, tin ceilings, pocket doors, hardwood floors and ample closet space. The brand new kitchen and bathroom contain updated mechanicals, bright white cabinetry, stainless steel appliances and new fixtures throughout. 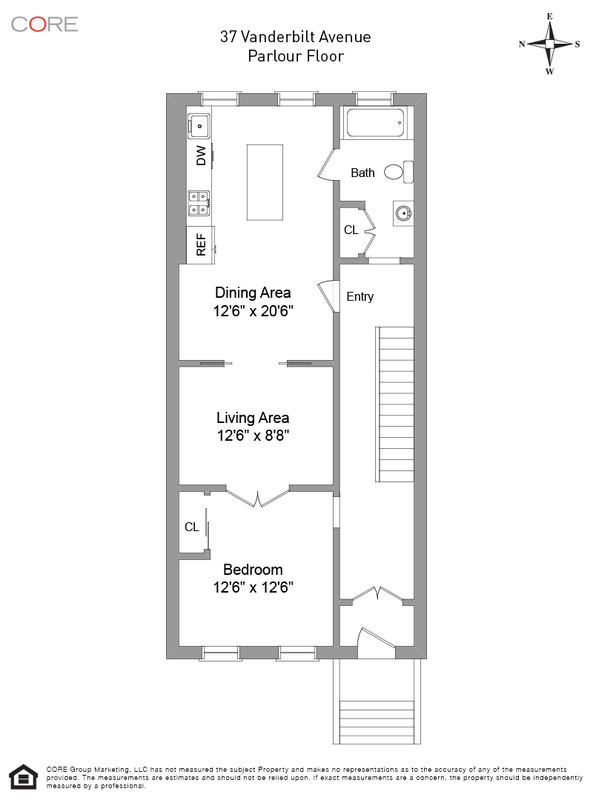 There is a common basement with individual storage units and a washer/dryer. The backyard is also for everyones enjoyment. Available immediately.